The holiday season is regarded as a time to surround yourself with family, to eat way too much dinner, and reconnect with loved ones. Regardless of how you celebrate, there’s always a certain bittersweet feeling to see your loved ones grow another year older. 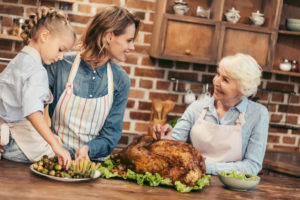 So after all that’s left of dinner is a few crumbs of pumpkin pie, the kids have fallen asleep on the sofa, and your parents have settled in for a little after-dinner conversation, this is a perfect time to broach the topic of estate planning with Mom, Dad, or any other aging relatives. It’s never easy to talk about death, but when surrounded by the family that this planning will eventually benefit, people are often more willing to discuss these difficult issues. A good way to ease into the conversation is to mention your own experience with estate planning. If you have children yourself, talk to your parents about the protections put in place for your own children. You may suggest that your parents create an estate plan that offers the same protections for their grandchildren. Nothing motivates a grandparent more than an opportunity to do something helpful for their grandchildren. 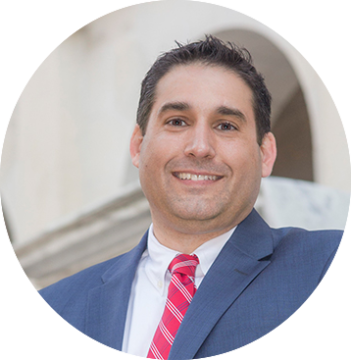 If you’re childless, you can talk about how your attorney helped you implement documents that appoint trusted individuals to care for you if you can’t care for yourself. Once the conversation is going well, mention Medicaid planning to them. Nursing homes are a prospect that many people – young and old – simply don’t want to face, but you can assure your parents that Medicaid planning isn’t just for nursing homes. Many elderly people rely on Medicaid to pay for at-home services which allow them to stay active in their community. Many are under the impression that this type of planning is solely to prepare for the looming inevitability of a nursing home and what comes after. You can help change your parents’ or other aging loved ones’ mindsets, however. Planning for a nursing home stay is only one small part of estate planning for the elderly; with so many moving pieces, it will also protect their children and grandchildren’s inheritances from potential creditors, minimize or eliminate estate taxes, help them maintain eligibility for public benefits, potentially allow them to stay at home instead of being placed in a nursing home, and allow people they trust to care for them if they’re not able to do so themselves. You don’t necessarily need to know the details of how your aging relatives want to structure their plan, but just getting the conversation started in a positive light is an important start. Get your siblings together to offer help driving them to attorneys’ appointments, gathering financial information, and selecting a good attorney that specializes in elder law. So during your next family holiday gathering, whether it be Thanksgiving, Hanukkah, Kwanzaa, Yule, or Christmas, consider sitting down with your aging loved ones to have this important discussion with them. It won’t be the easiest talk you’ve had with them, but we guarantee you’ll all feel like a weight has been lifted off your shoulders once everything has been signed. To find out more information on establishing an estate plan for yourself or your elderly loved ones, call (617) 244-2665 or send an email to estateplans@drsglaw.com. From all of us at DRSG Law, have a wonderful holiday season.